Such was the verdict of the Chronicler of Meaux Abbey in the mid-14th century when documenting the destruction of the town. 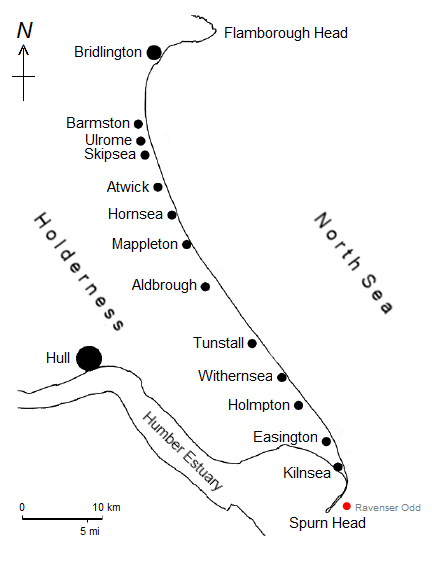 The Abbey records reveal that the town began life as a sandbank, probably an island, thrown up by the tides and currents between the river Humber and the North Sea. 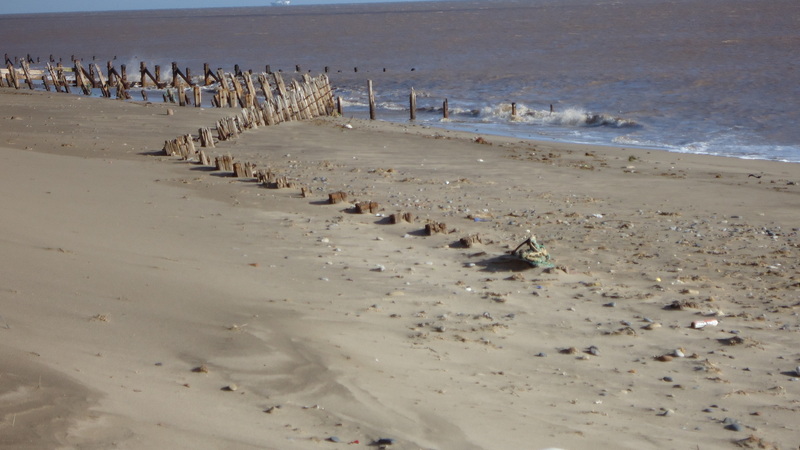 Located off the tip of Spurn Point and about a mile off the Holderness coast, at some point it became accessible from the mainland. The sandbank grew and was initially inhabited by a handful of enterprising souls selling provisions to passing ships. Around 1235 the Count and Countess of Aumale whose fiefdom embraced Holderness, recognised the strategic possibilities of the site and started to build the town. A few years later the monks of Meaux Abbey got in on the act and acquired buildings there for storing fish and other provisions. “go out with their boats where there are ships carrying merchandise and intending to come to Grimsby with their merchandise. Said men hinder those ships and lead them to Ravenser Odd harbour by force when they cannot persuade them amicably”. The men of Ravenser Odd triumphed at the Inquiry with all charges not proven and even commended for their entrepreneurship. The town flourished with more than 100 houses, warehouses, quays and other port buildings. It was granted borough status in 1298/9 for which the then huge sum of £300 was paid. It is in keeping with the spirit of the town that little of the money was actually handed over. The petition ends with a plaintive request for remedy and compensation for their goods as they “have nothing from which to live”. Under the King’s patronage, whatever piracy and misdemeanours were committed were ignored and the town grew in importance, wealth and prosperity. The town was represented by two MPs in the Model Parliaments of the time and supported the king in the wars against the Scots by providing ships, provisions, arms and men. However by the middle of the century it became clear that the golden years of Ravenser Odd were drawing to a close. Merchants started to move away as the flooding by the sea became more regular and more serious. There were a number of petitions made for the lowering of taxes because buildings and land had been washed away. In 1355 flooding damaged the chapel in the town exposing bones and corpses. These were removed for reburial elsewhere. The chapel itself was ultimately washed away but not before some of the townsfolk looted many of its artefacts. The town was abandoned soon after and, unsurprisingly, it became something of a pirates’ lair until the coup de grace was applied in 1362. In January of that year a south-westerly gale raged across the UK. This storm known as the Great Drowning of Men combined with unusually high tides, produced a storm surge that swept the last stones of Ravenser Odd back to the sea. The town founded on a sandbank vanished without trace. This entry was posted in Lost Villages, writing and tagged coastal living, east yorkshire, east yorkshire coastline, local history, ravenser odd. Bookmark the permalink. ← Do You Really Want To Know What I Think? LOL and I see I’ve persuaded you to “follow”. Many thanks. I understand that you are writing a book on Ravenser. I have information that may be of interest. Sorry for the repeat E-mails, but no direct E-mail address to contact you! if you or any one has info on ravenser odd could you please forward it to ..
HI Simon – I don’t think I have any more material than is in the post and in the book. But I’ll check back for you. BTW your links do not seem to be working. thank you and I’d be delighted. What do you need me to do?